This release includes new features and improvements to your EasyPower software, focusing mainly on reflecting updates to the IEEE 1584-2018 standard. A Service Pack has also been released to fix some bugs - more information here. 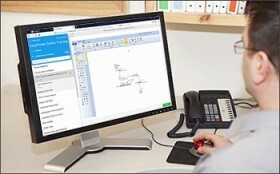 The EasyPower product suite delivers a full lineup of powerful Windows®-based electrical software tools for intelligently designing, analyzing, and monitoring electrical power systems. The EasyPower product suite delivers a full lineup of powerful Windows®-based electrical software tools for intelligently designing, analyzing, and monitoring electrical power systems. With the fastest processing speeds on the market, EasyPower delivers instantaneous, accurate results to help you make more intelligent decisions. Watch this overview video to learn more. EasyPower is pleased to offer XGSLab, a full feature grounding solution including multilayer and multizone soil models, capacitive and inductive coupling, below and above ground systems, as well as frequency and time domain calculations. All this comes at a fraction of the base price and cost-of-ownership of other full feature packages. With the fastest processing speeds on the market, EasyPower delivers instantaneous, accurate results to help you make more intelligent decisions. EasyPower is the smart, fast and accurate solution for your arc flash hazard analysis software. 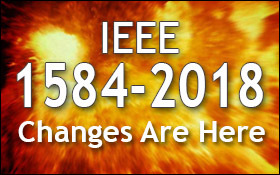 The long-awaited update to IEEE 1584 is here. The 2018 version was approved by the standards board in December. Facility owners and consultants will be confronted with applying this new standard. 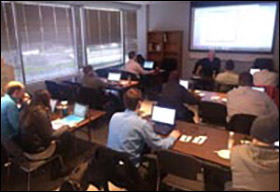 EasyPower is offering a series of free arc flash workshops in their Portland, Oregon offices, as well as other west coast cities. These live EasyPower demonstrations will be focused on Arc Flash compliance for managers of middle to large scale facilities. We are pleased to announce our new EasyPower Online Training program! These online courses give you the opportunity to learn EasyPower at your convenience. The EasyPower Hands-On and Protective Device Coordination are available now, with more to follow.